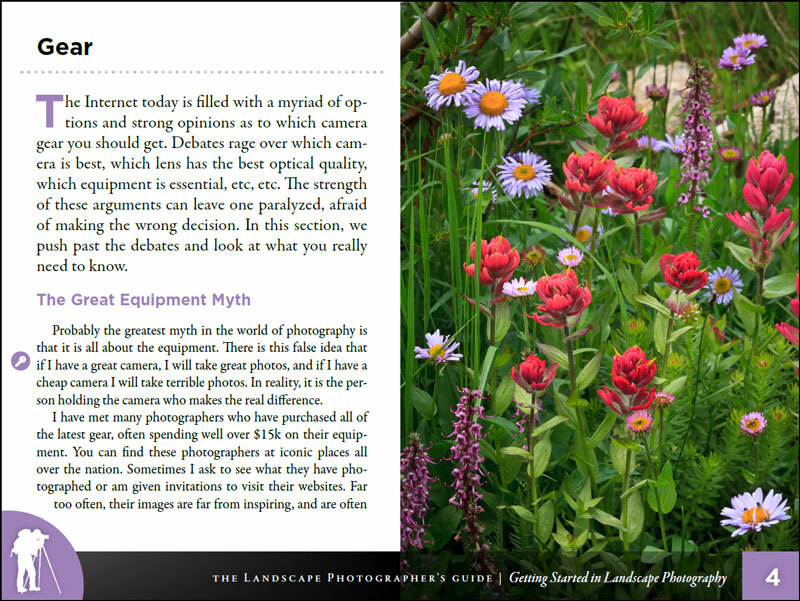 This second book in the "Landscape Photographer's Guide" series introduces you to the world of landscape photography. It is accessible, engaging and filled with beautiful illustrative photography. 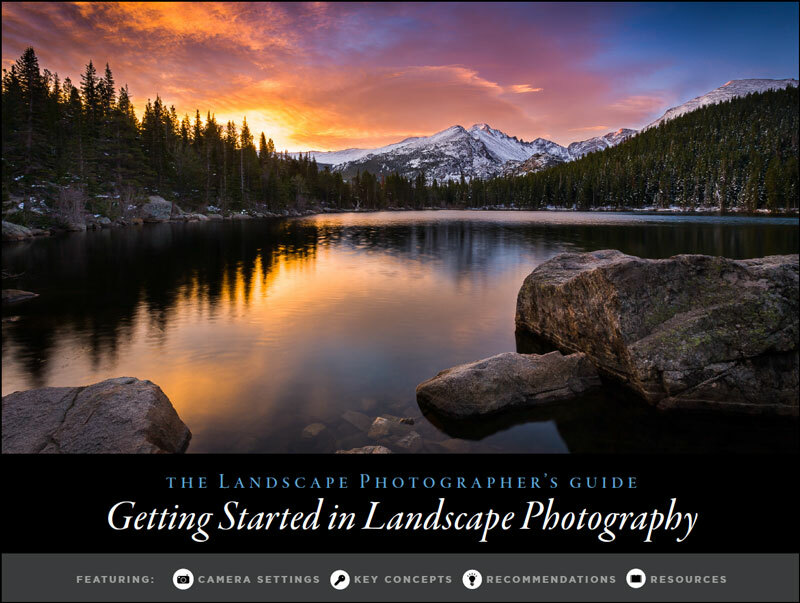 Getting Started in Landscape Photography is a book designed for anyone who wants to explore the world of landscape photography, either as a casual hobby or as a more serious endeavor. In this book, Erik Stensland makes this unique art accessible to all. Avoiding almost all technical language and undermining the idea that it is only a rich-man's hobby, Erik presents an easy to understand introduction to landscape photography. He covers all the basics necessary to get you started on the road to creating beautiful photos. Although this book is written for the beginner, it can also be a good refresher course for those who want to brush up on the essentials. It covers topics such as equipment, composition, lighting, subject matter, and post-processing. It is filled with practical suggestions on how to best approach each of these areas. 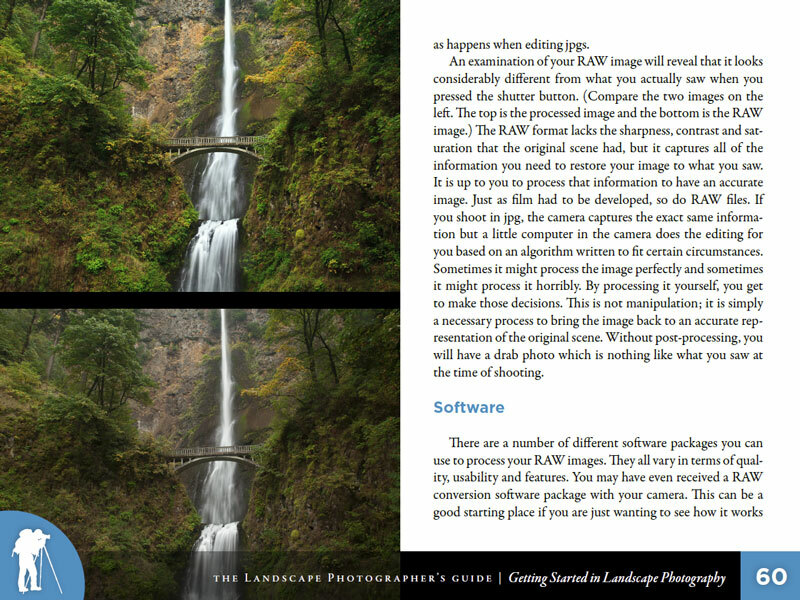 Getting Started in Landscape Photography contains 79 pages of clear and helpful information as well as over 90 high resolution images which beautifully illustrate the various concepts covered in the book. This e-book is in a pdf file format that can be read on tablets or personal computers. When you purchase it, you will receive links for both a high resolution version and a low resolution version. Every once in a while, I'll e-mail you a link to an updated version of the book with corrections or new information. 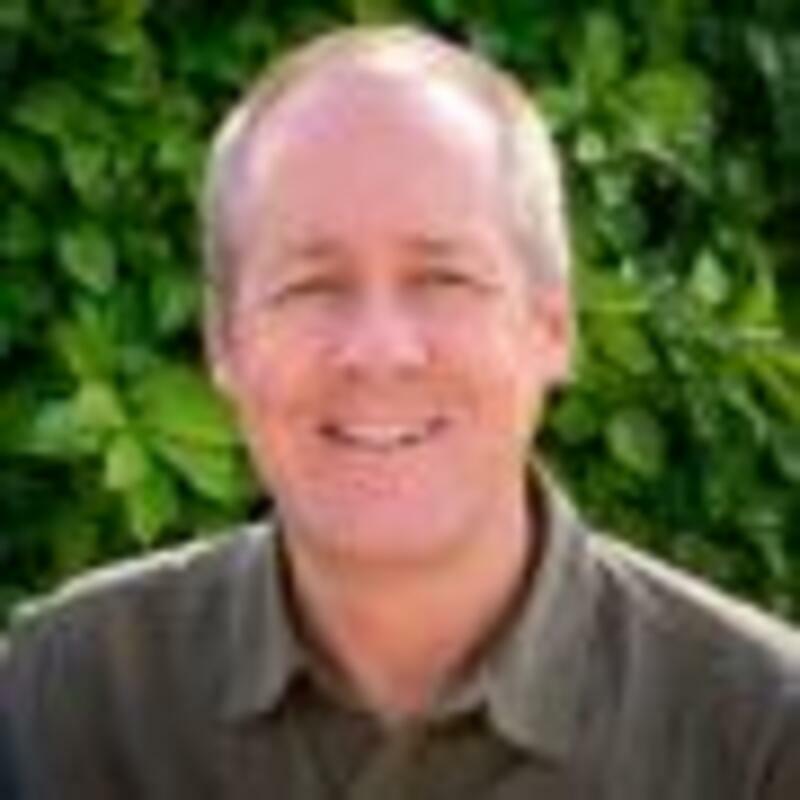 Since the electronic download portion of my website forces me to use a zip file, you will need to download the file to a computer first, unzip it and then upload it through iTunes. I apologize for the inconvenience. The best apps for viewing the book are either iBooks or Adobe Acrobat. Unfortunately, the Kindle app doesn't seem to work well with external hyperlinks. If you have any trouble opening the zip files, just contact me through the contact page of this website and I'll send you a link to the unzipped files. For some unknown reason a few people have had trouble with them. A number of people have written and said that they didn't receive the automatic e-mail with the download link. The most common reason for this is because it went into your spam folder. Check there first if you don't receive the e-mail in an hour. If you can't find it there, let us know and we'll send you the links.